Am I paying income tax on taxable wages or salary from my work or business? Do I have a limited amount of time to use my yacht? Am I willing to allow qualified people to charter my yacht when I’m not using it? If the answer to these questions is “yes” or “maybe”, then charter ownership is something you should consider. The reality is that most people use their yacht one to two times a month, on average, leaving the balance of the month available for charter. Besides, if the yacht is paying for itself, it relieves the pressure some people feel to be constantly using it because of the cost. This actually lends to the enjoyment of the yacht when they do use it. Charter management companies in Washington, Mexico & the Caribbean are actively pursuing new Jeanneau Monohulls and Lagoon Catamarans to place in their fleet. These are very popular charter yachts. If you have an interest in learning more about placing a new yacht in charter, contact a member of our sales staff. We understand that charter ownership is right for some people and not right for others, and we’re always glad to spend some time discussing it with you and answering your questions. If you decide to go ahead, we’ll help you select the yacht that is right for you and also help you place it with a reputable charter company in an area of interest to you. We’ll walk you through the entire process and you’ll find that buying a yacht and placing it in charter is an easy and enjoyable experience. (a) We’re not tax advisors and are not able to give you advice on your specific tax situation. Everyone’s personal financial situation is different and you will need to evaluate the tax benefits of charter ownership for yourself and in consultation with your tax advisor. (b) Placing a yacht in charter won’t enable you to afford a yacht that is well beyond what you might otherwise be able to afford but it may allow you to purchase a newer yacht or a larger yacht. 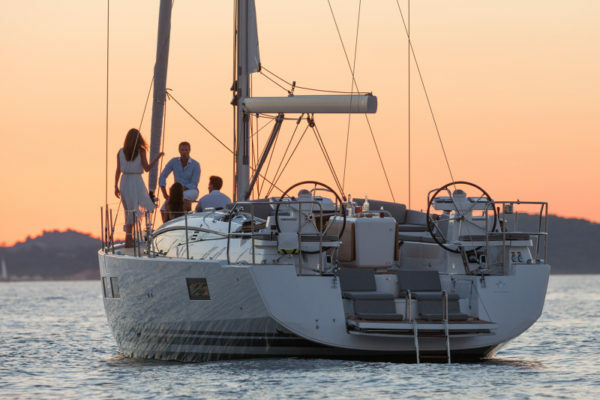 As a rule of thumb, if you have the income to afford a yacht at a certain price level, you’ll be in a position to take advantage of the tax benefits summarized above, thereby significantly reducing your cost of ownership. In addition you will be receiving charter income on your yacht.